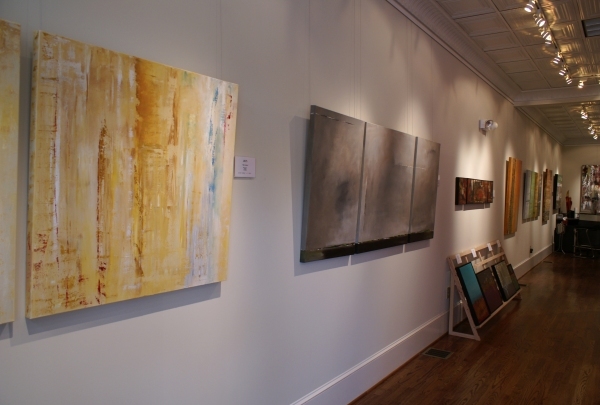 "Many things can be understood under the term “abstract art.” What is both different and mesmerizing about the art of Anita Lewis is that it explains depth and texture, offering its own unraveling story to the viewer. 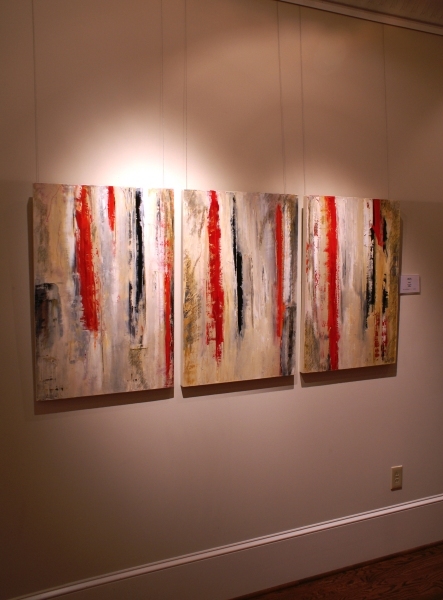 Yet, abstract art hardly describes the feel of her work. 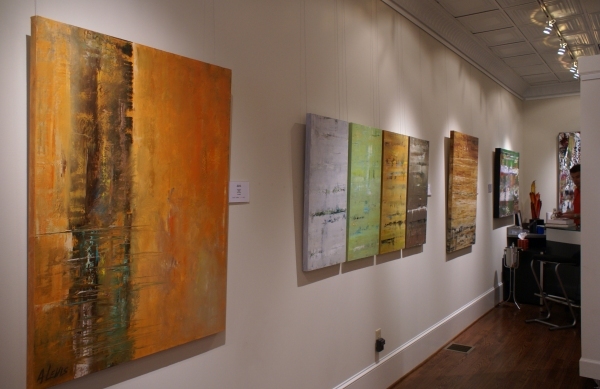 Deriving suggestions from nature, Lewis adds elements of gold, silver and copper leaf to add hidden treasures to her work, setting a sort of vein buried deep beneath, suggesting depth of tangibility. 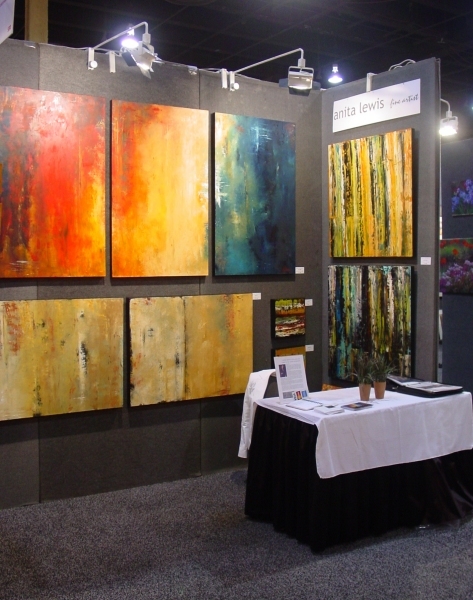 Lewis’ technique is a mixture of the masters Pollock, Diebenkorn, Monet, Rothko, and Richter, all blended to become her own." 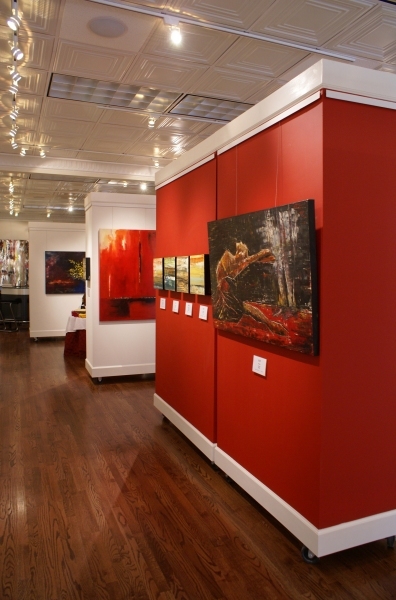 When properly chosen, art can add a lot to your home. 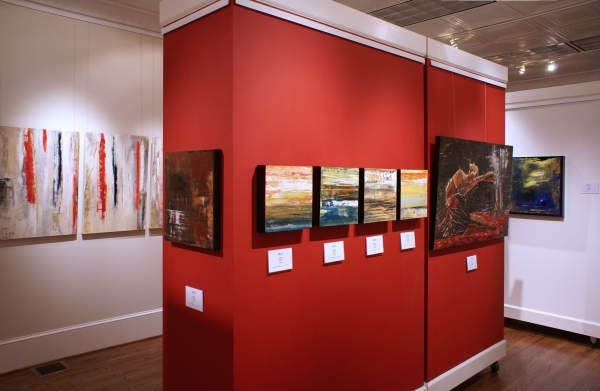 Two-dimensional art, including paintings, photographs and wall sculptural art (such as fabric art) create focal points and balance. It provides a room with something to quietly contemplate - an antidote to the media invasions in our lives. 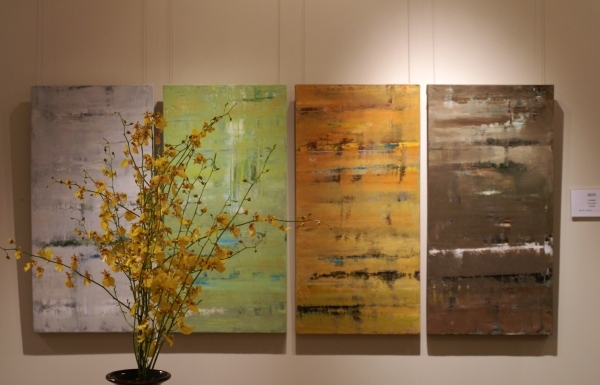 A work of art can be a conversation piece or bring in a home's theme. Here are some tips to guide you. Don Juan on Stage and Canvas - As part of San Diego Ballet's new concept, "arts supporting arts," artist Anita Lewis will exhibit "Dance Moments of Don Juan" - a collection of contemporary abstract paintings inspired by the story - Premiering alongside the opening night of Dan Diego Ballet's "Don Juan" on Feb 14 at 7:30pm at the Lyceum Theatre, Horton Plaza. 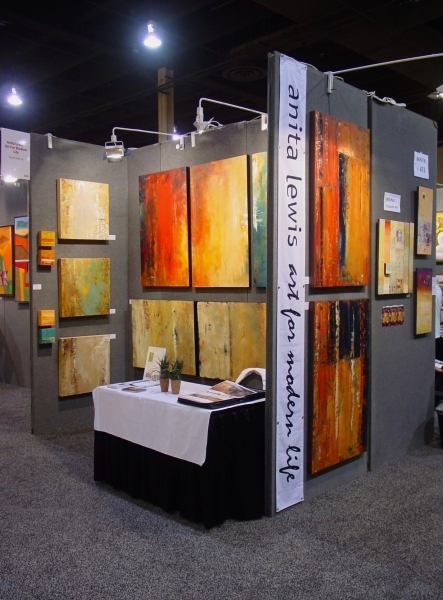 "American abstract woman artist, Anita Lewis, breathes art into San Diego"
The art of Anita Lewis can be found all over the world, yet she has her studio right here in North County San Diego. 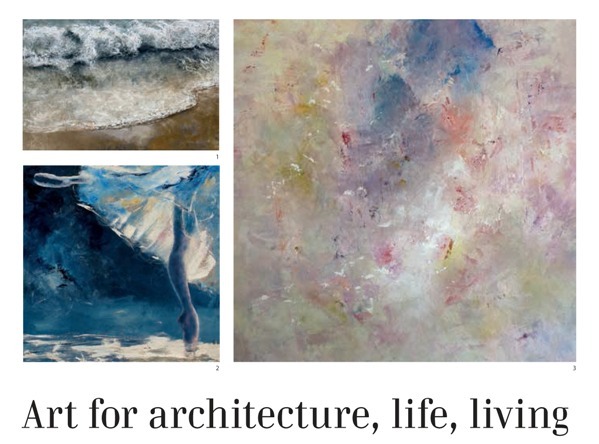 For years her work was appeared prominently in La Jolla, at Monarch Gallery and she plans to exhibit her work locally at future events and venues including, Mandell Weiss Gallery, at Liberty Station and Art San Diego 2013. Read more. 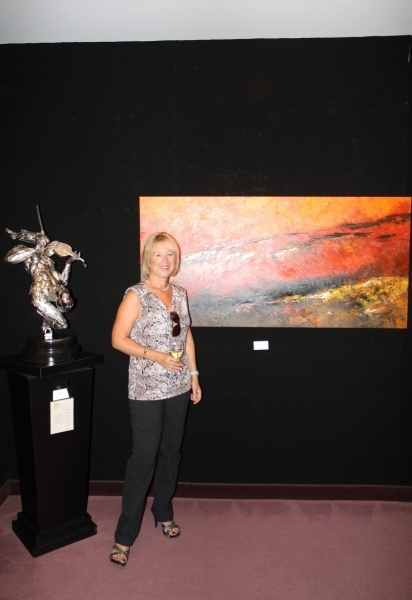 For attendees and exhibitors alike, the chance to find that next, great, emerging talent is one of the most exciting aspects of attending an ArtExpo. With the affordably-priced booths in the [SOLO] section, it has become easier for new, emerging talents to showcase their work and meet potential buyers. 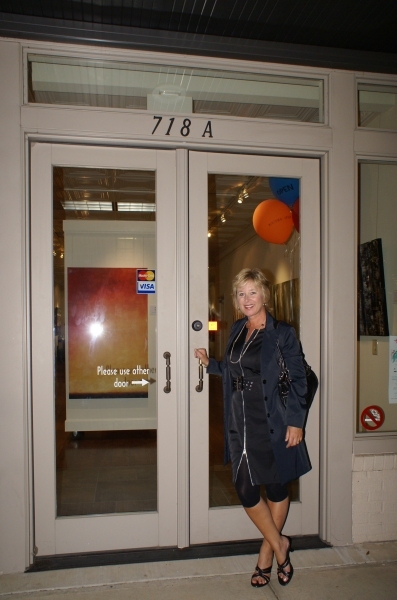 Judy Hagler of Translations Gallery in Denver picked up work from [SOLO] artists Anita Lewis and Lisa-bel Filiatrault. 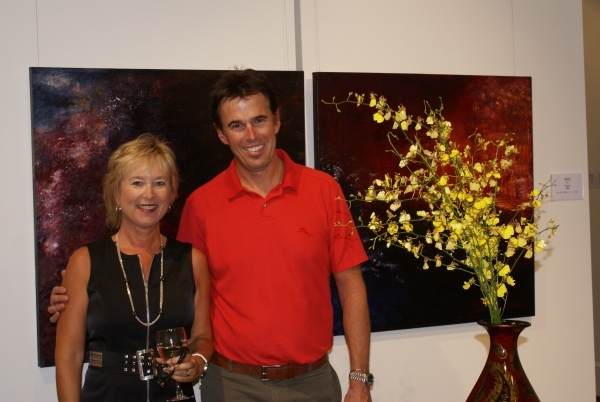 As a successful gallery owner, Hagler knows [SOLO] offers top-notch exposure to emerging artists worldwide. Wow! What a First Friday in Greenville it was last night. The streets were full and the galleries were open! Move over Lee Krasner and Joan Mitchell, there is a new artist in town. 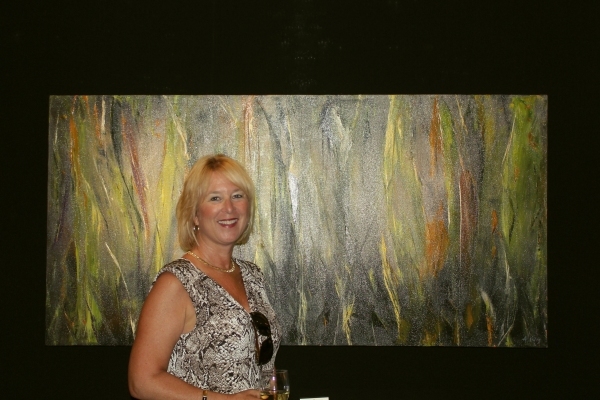 Opening last night at the Midtown Artery at 718-A South Main Street, Anita Lewis came to town by way of Southern Germany and Oceanside, California, not just as an outstanding female artist, but as a master of Abstract Expressionism who happens to be female. The center piece of the show was a masterful triptych whose use of grays and cloudy whites was reminiscent of the later Whistler seascapes, but with a much different message. This artist leads the viewer visually from one panel, to the next, to the third with a suggestion of hope and serenity. This work could have easily been called "The Day After Creation" because its serenity and continuity at once rests the eye and calms the spirit. One is reluctant to move away and wants to cling on for just another moment. (I had to go back several times). There is something there that makes one pause and think of the possibilities of the future of mankind. Intelligent and engaging, Ms. Lewis is at once charming and knowledgeable. She exudes a sort of California style of eternal youth and energy which is beautifully expressed in her work. 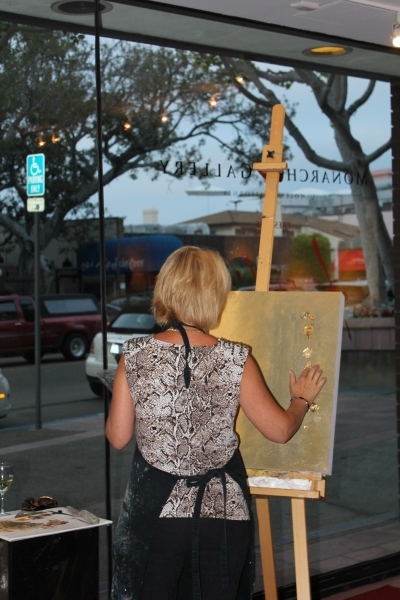 Her brush strokes are strong and true. There is a freedom to her work but an underlying structure prevents chaos and, pulling the pieces together, has something to say. My favorite example of this is her "Siberian Forest" which is exceedingly strong and powerful. Like Joan Mitchell's "Blue Tree" and "My Landscape II" (1967), the structure is there but this is no traditional, representational landscape. The work says much more about how the artist feels about what she saw on her recent trip to Russia than what the forest really looks like to the untrained eye. The bravura of her strokes are so powerful that one need not book a flight to Siberia to know a great deal about how that forest impresses. 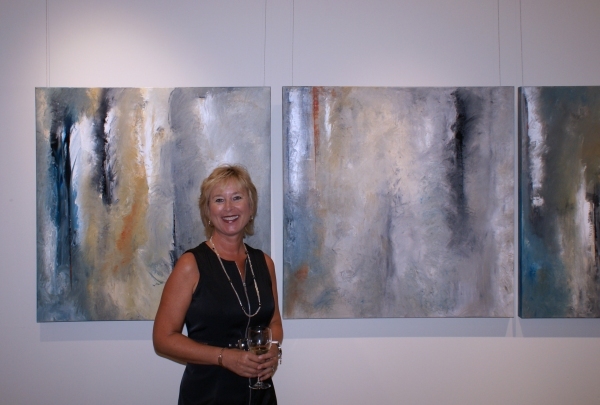 Here is a painting so powerful and evocative that the viewer is not embarrassed to linger on and stare. Like Joan Mitchell, Ms. Lewis lived in Europe for twenty years and the classic art history of that world is evident in her body of work presented at the Midtown Artery last night. As a side note, the owners, Laurie and Charlie Thompson were wonderful, friendly hosts. I strongly recommend that anyone with an interest in art and a fresh look at the Abstract Expressionism movement in America stop by and take a look. 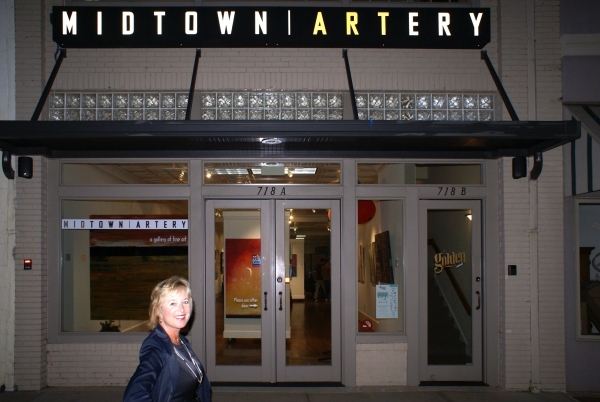 Midtown Artery, Greenville, SC - Successful Evening!